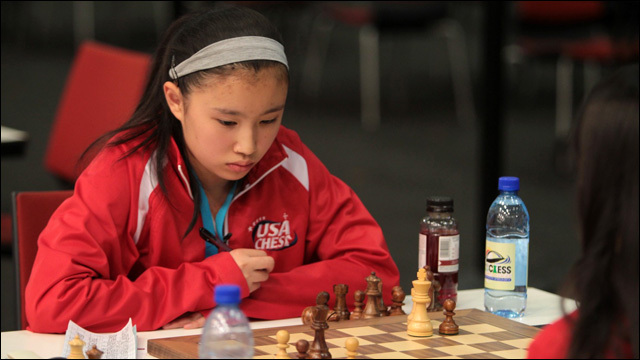 Jennifer Yu is the first American girl in 27 years to win a title at the World Youth Chess Championship. Here's a young lady who's got the moves. Last month in Durban, South Africa, 12-year-old Jennifer Yu became the first American girl in 27 years to win a title at the 2014 World Youth Chess Championship. Jennifer, an eighth-grader at Trailside Middle School in Ashburn, Virginia, is rated a "national master" by the U.S. 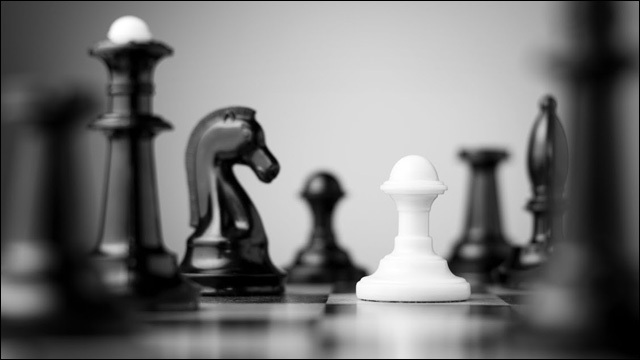 Chess Federation and is considered on of top 500 chess players in the country. At last month's tournament, Jennifer went undefeated in eleven matches, stealing the show and becoming the first U.S.-born girl to win a world youth title since 1987. In her impressive last round game, according to one observer, "she simply crushed her opponent." That's pretty darn gangster. Of the 80-girl field, Jennifer was one of the top-rated players. "This year I played like I usually play," she said, "instead of terrible moves that made me lose." She said she doesn't like to use scripted openings or planned attacks. "I can play any style I get into; I can play position or aggressive attacking," she said. Each tournament has 11 matches, and soon Jennifer was playing on "Board 1," indicating the field leader. After 10 matches, she had won eight, tied two and had wrapped up the title. But "I still had to win that game," she said. "I don't like giving away points." She didn't. She won again, getting 10 of a possible 11 points and winning a girls tournament for the first time since 11-year-old Yvonne Krawiec and 8-year-old Susan Urminska in 1987. Did I mention she's only twelve years old? Indeed. According to FIDE, the World Chess Federation, she's the top-rated 12-and-under girl chess player in the world and the 17th-ranked female of any age in the United States. She is better at playing chess than anything I will ever do in my entire life. Respect.